A team of researchers in Chile are working to come up with a vaccine against alcoholism. If successful, the patient will get a shot a month and not crave alcohol anymore. 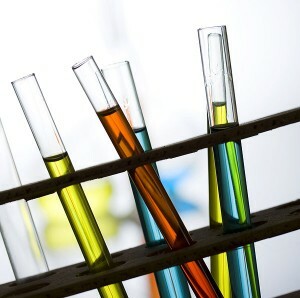 The genetic therapy is based on aldehyde dehydrogenase, a group of enzymes that metabolize alcohol and are thus responsible for alcohol tolerance, Juan Asenjo, who heads a team of researchers at Chile ‘s Faculty of Sciences and Mathematics and the private lab Recalcine, told the French news agency Agence France-Presse. The vaccine would work like a cigarette patch, but would specifically target liver cells, he told the news service. The idea is to reduce the habit by 90 to 95 percent, he said. According to a press release by the university, the vaccine would reduce unease, nausea and accelerated heart rate, helping alcohol addicts kick their habit. The announcement comes three months after researchers at the University of North Carolina at Chapel Hill School of Medicine announced they had discovered a gene variant, CYP2E1, that was sensitive to alcohol. Another study, published in Proceedings of the National Academy of Sciences, found evidence that a molecular pathway in the brain was a promising new target for the treatment of alcoholism. Amy Webb, a co-author of the UNC study, said while the Chilean research does not build on the CYP2E1 study they are both built on the same idea — that a person’s genetic makeup can affect their sensitivity to alcohol. Both studies also used genes or protein degradation to study the affects of alcohol. The Chilean research is also further ahead than the American ones — with human test ing expected in 2012. In Chile , about 986,000 of the 17 million inhabitants are alcoholics, according to government data. In the United States , 17.6 million people, or one in every 12 adults, abuse alcohol or are alcohol dependent, according to the National Institute on Alcohol Abuse and Alcoholism. About 1.9 million of those who are alcohol dependent are Hispanic, according to the institute.